The outer core, subcapsular space or peribulbar space contains endoneural cells and fibers that form perforated concentric lamellae. It can be divided in an inner zone and an outer zone. 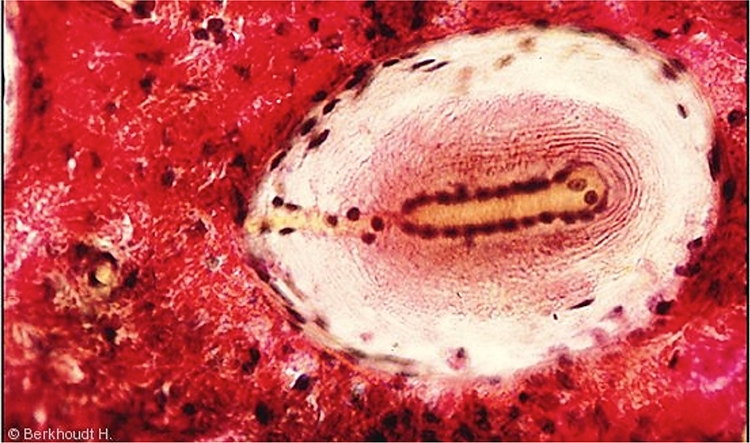 The outer zone contains more fibroblast nuclei and has irregular and less pronounced lamellae.